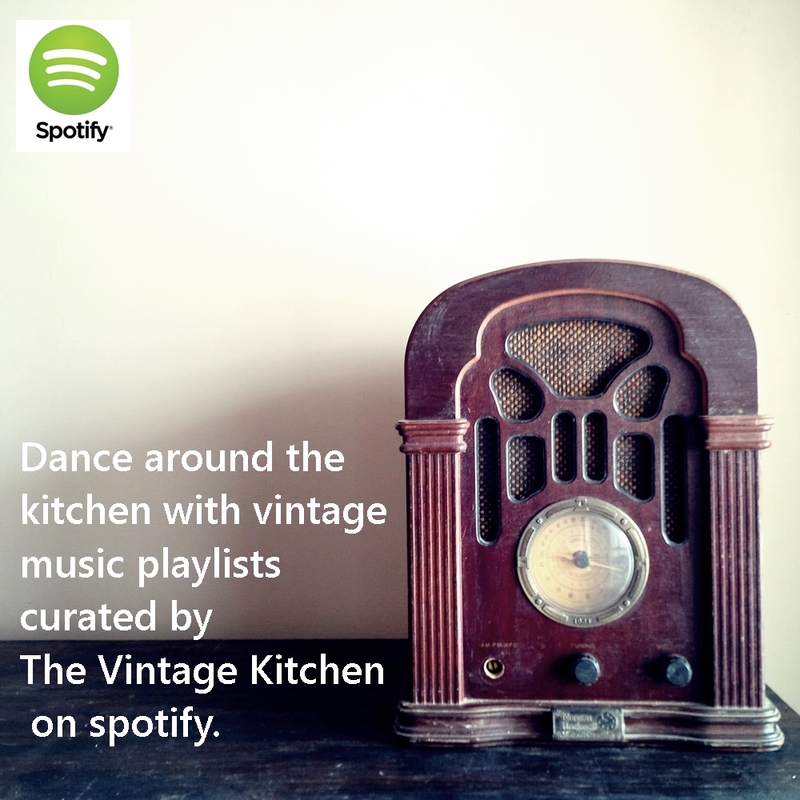 Vintage Dinner and a Movie: With Moms and Daughters and Aunts, Family Style! The last time we discussed food and film we were in Casablanca in the 1940’s with Ilsa and Rick and a batch of seasoned bar nuts. Today’s post takes us to New York City in the 1940’s with a gal named Ilka and a platter full of chicken. It’s dinner and a movie day, and we are celebrating it family style! On the screen is the movie Three Daring Daughters, a romantic comedy starring Jeanette MacDonald, who plays a single mom navigating the tricky waters of career, family and love. 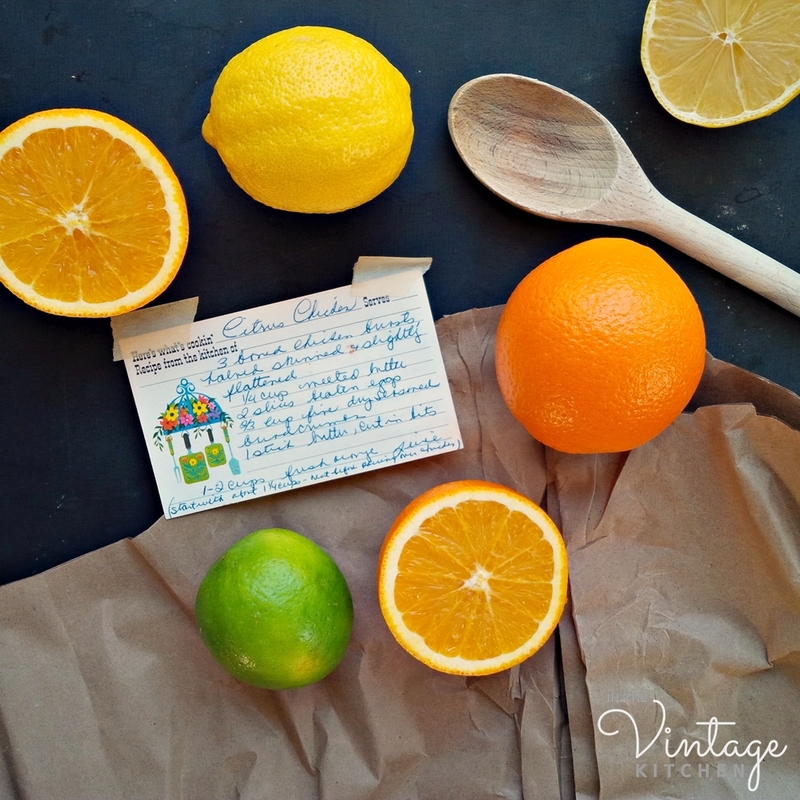 On the menu, is a vintage family recipe, Citrus Chicken with Fresh Oranges and Tarragon, which comes from the kitchen of my Aunt Patty, a self-taught gourmet cook who lived most of her life in California. 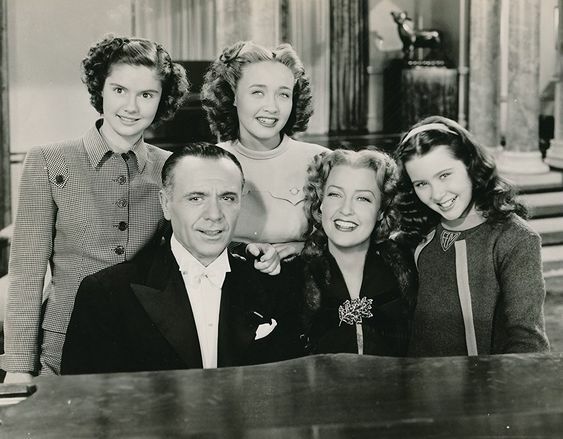 I was introduced to Three Daring Daughters thanks to an invitation to join the Singing Sweethearts blogathon, hosted by the Pure Entertainment Preservation Society this week. Not very familiar with Jeanette’s body of work, I learned a lot about this dynamic actress who was a favorite of 1930s and 1940’s movie-goers. Originally a theater actress, Jeanette was born in Philadelphia and received her acting start on the stages of New York City in the early 1920s before heading west to California for screen work. A trained singer from childhood, she hit her stride in Hollywood, appearing in over two dozen musicals showcasing her operatic voice and garnering several Academy Award nominations. 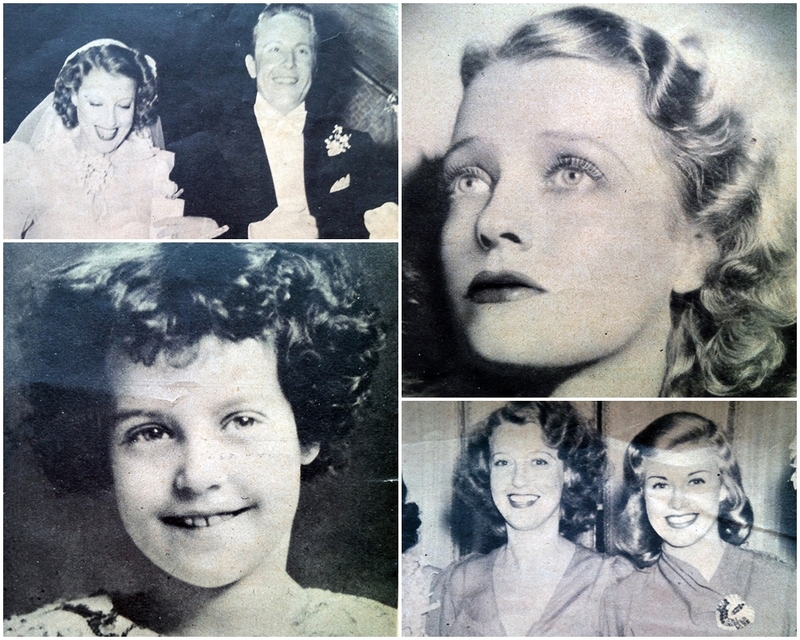 A collection of rarely seen photos of Jeanette MacDonald courtesy of Click Magazine, 1938. Images include a childhood portrait, a wedding day photo with husband Gene Raymond, a glamorous headshot revealing her new red hair color (previously she was a brunette) and a bridesmaid photo with Ginger Rogers. 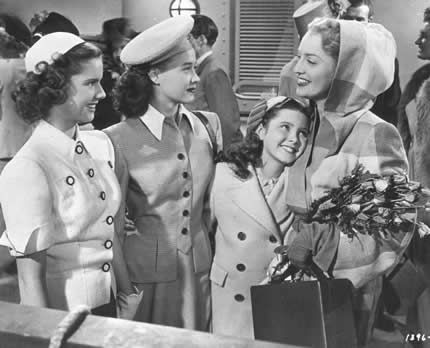 Three Daring Daughters, was her second to last musical (released in 1948) and showcases the singing voice not only of Jeanette but also her three on-screen daughters, as well as the musical talents of famous real-life concert pianist Jose Iturbi. In the movie, Jeanette plays Louise, single mom to Tess, Ilka and little Alix while also trying to balance a full-time editorial job at a popular magazine. Exhausted by work and home life, Louise’s doctor advises her to take a cruise vacation to Cuba, alone, in order to get some much-needed rest. On the boat, she meets Jose Iturbi, a handsome celebrity passenger who is immediately smitten with beautiful Louise. Meanwhile, her daughters, back in New York believe that their mother is worn out because she misses the companionship of her ex-husband (their father), so they arrange to have him arrive in New York just as Louise is returning from her vacation. As you can imagine, mayhem and misunderstanding ensue. We won’t give any more away to spoil the story, only to say that things don’t go quite as anyone expected. 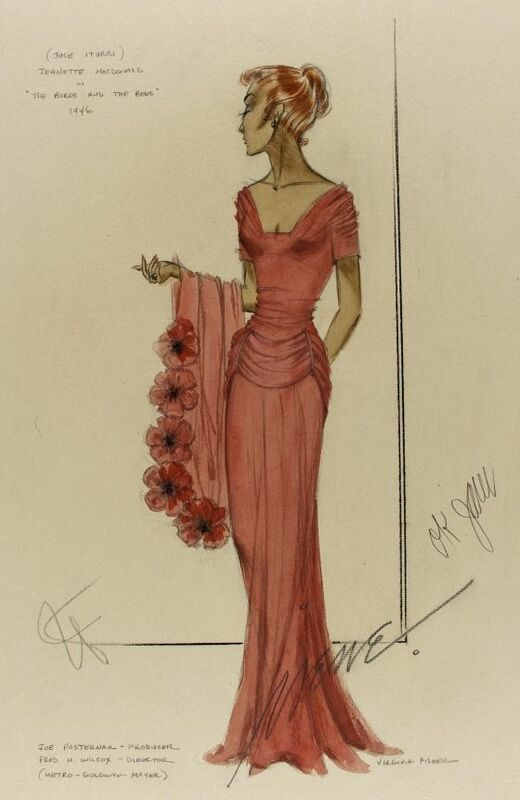 One of Jeanette’s lovely dresses in the film. and the acting is marvelous, especially when it comes to the three daughters. Professionally trained child actors from an early age, each of them had hopes of following in the career footsteps of Shirley Temple, so they were schooled in all areas of performance from singing and dancing to elocution, stage direction and character development. 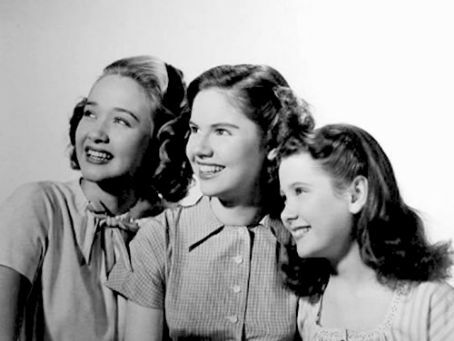 Tess, Ilka and Alix played by Jane Powell, Ann E. Todd and Elinor Donahue. Sweet without being sappy, Three Daring Daughters is a feel-good story full of the virtues of happy relationships and good intentions. In a combination that is reminiscent of I Love Lucy, Little Women, and An Affair to Remember it’s hard to imagine anyone finding fault with this movie, but, surprisingly it was flagged for immorality due to that fact that Jeanette MacDonald’s character was a divorced woman successfully living on her own. That being said there are no deep psychological dramas to explore here and the entire theme of the movie is cheerful and upbeat. There’s also not much cooking going on in the film, so instead of recreating a dish from the movie, we pulled one from the family archives of Aunt Patty who was herself one of three young daughters in the 1940’s. That’s Aunt Patty – the tallest one in the back, her middle sister Phyllis and then my mom, the youngest, in front. Like Tess (the oldest daughter) in the movie, Aunt Patty was the great big sister to her sisters and was especially connected to my mom. 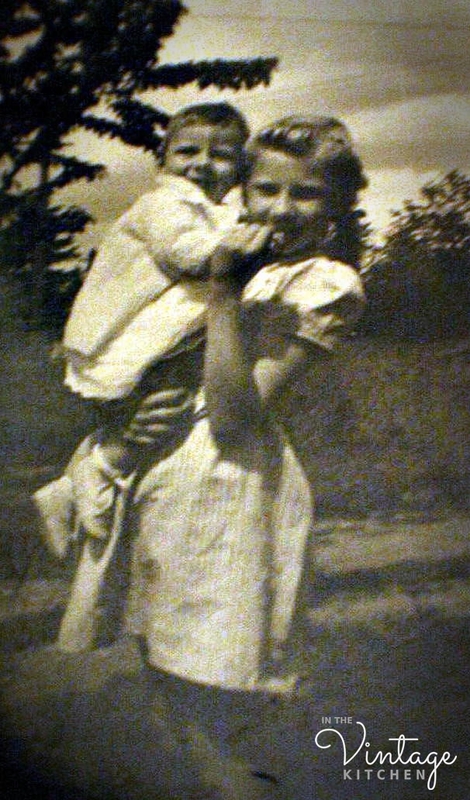 Aunt Patty holding my mom circa 1943. Even though we lived on opposite coasts and didn’t see her as frequently as we would have liked she still looms large in my memory. She was a great hugger. Her husband, Buzz called her “Babe,” which my sisters and I thought was hysterical. And like so many ladies in my family, she was a talented seamstress and would often send us presents that she made. One year she sent a pair of three-foot-tall cloth horses for my dolls to ride around on. That seemed like magic! Even though she liked to keep busy and plan lots of activities when we were all together, she always found time to read the Winnie the Pooh series to my sister and I before bed or naptime. And she was a marvel at putting together big family theme dinners complete with decorations and costumes. Tragically, she passed away in the mid-1990’s from her second round of breast cancer, just a few months after celebrating her 62nd birthday. But she’s never far from our thoughts. Small memories pop-up in my mind about her all the time and of course, I have her hand-written recipes to keep me company in the kitchen. Living among the fog clouds of Half Moon Bay, California, Aunt Patty was the only woman in my family, when I was growing up, that had a vegetable garden in her backyard, which to me was absolutely fantastic. She gathered much of her creativity in the kitchen from what she grew, so if there was one thing we could always count on at Aunt Patty’s house, it would be super fresh vegetables, lots of herbs and a fun time in the kitchen. She also subscribed to the Julia Child philosophy on butter – the more the better! 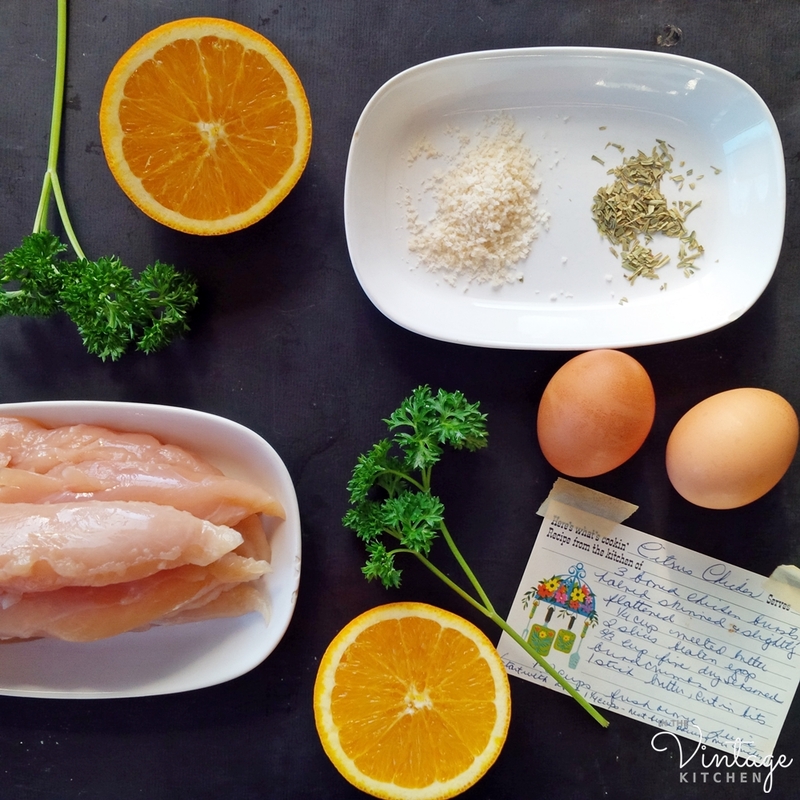 This recipe (written in her own hand) is for Citrus Chicken and features fresh oranges, tarragon and the infamous butter. Sometimes, when I make this I cut the butter in half, but it’s really best prepared as Aunt Patty directed. If you serve it with a simple green salad on the side, the whole meal feels a bit more redemptive! It serves 3-6 people depending on portion size and keeps well in the fridge for chicken sandwiches the next day if you have left overs. Flatten chicken breasts. Brush with melted butter. 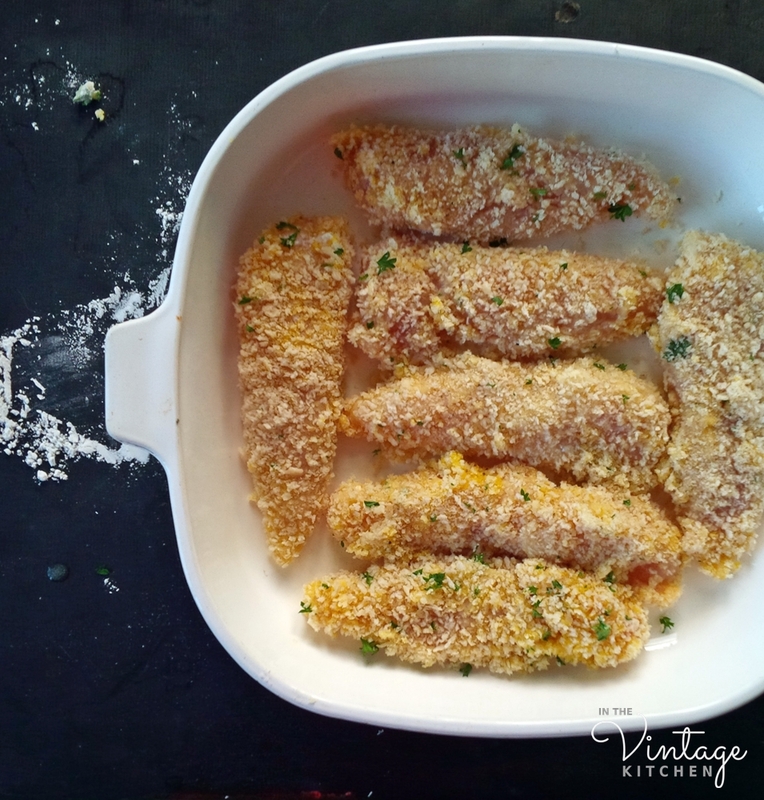 Roll in flour – dip in beaten egg and roll in breadcrumbs. Arrange in baking dish. Dot with Butter. Bake 15 minutes at 400 degrees. In a bowl, mix orange juice, tarragon, and orange peel. Pour over chicken. Reduce temperature to 350 degrees. Cover and bake 35 more minutes, basting if necessary. 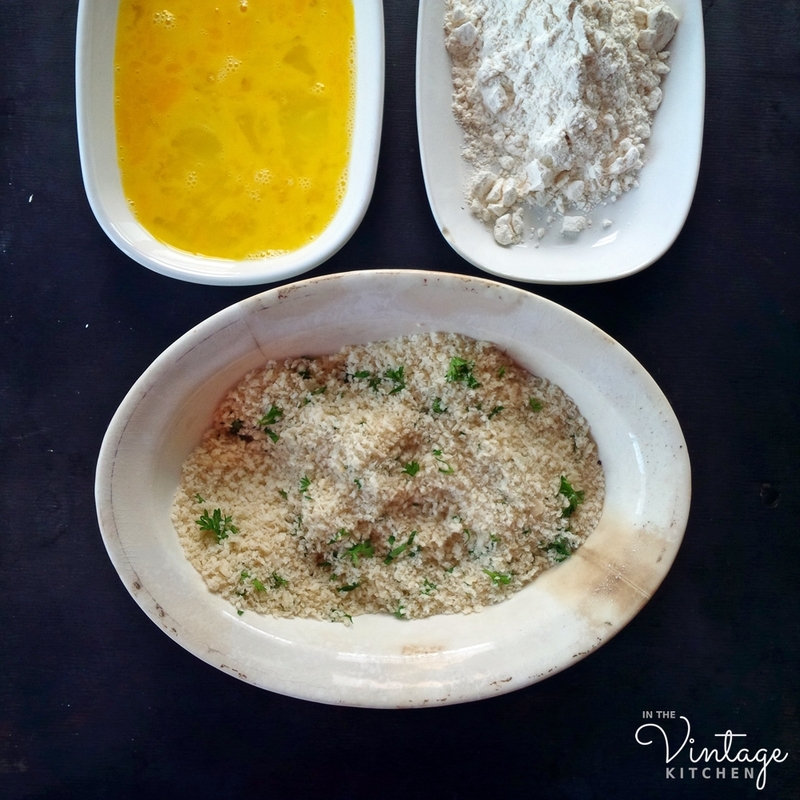 (A little note: When it is done, the chicken will be wrapped in a soft breading blanket, if you’d like it to be a little bit crispy, simply remove the lid and place the dish under the broiler at 500 degrees for a few minutes until it begins to brown on top). 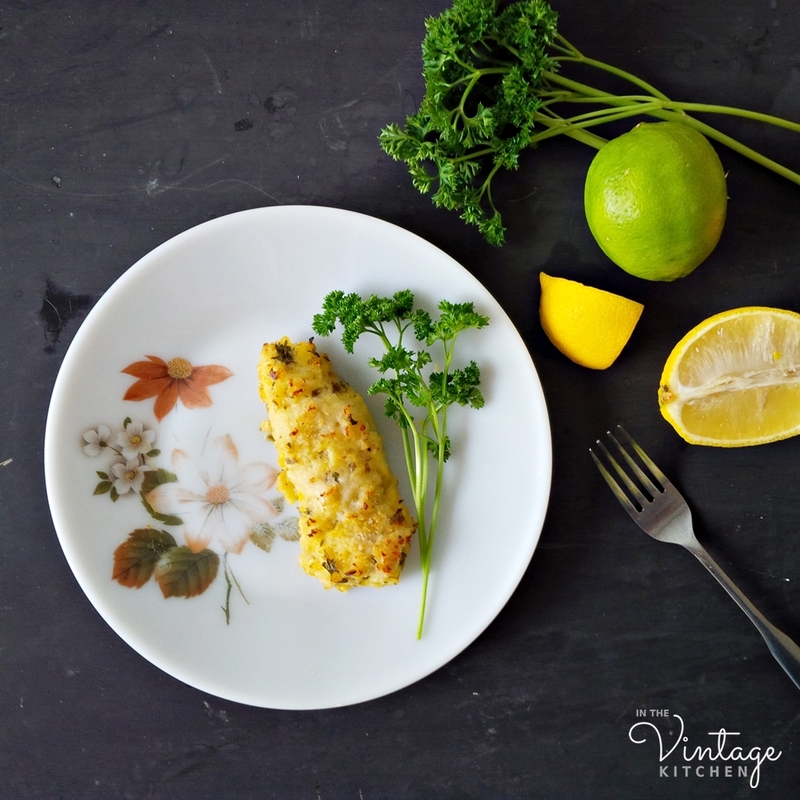 There are many ways to present this chicken… on a plate with other seasonal vegetables, alongside or in a salad of mixed green lettuces, or on a sandwich as mentioned above. In addition to being served hot out of the oven, it can also be served at room temperature, which makes it a great candidate for picnicking. We used to picnic with Aunt Patty on the beach, just a couple blocks from her house. I think she’d be thrilled at the idea that her recipe might be in your picnic basket one day too! 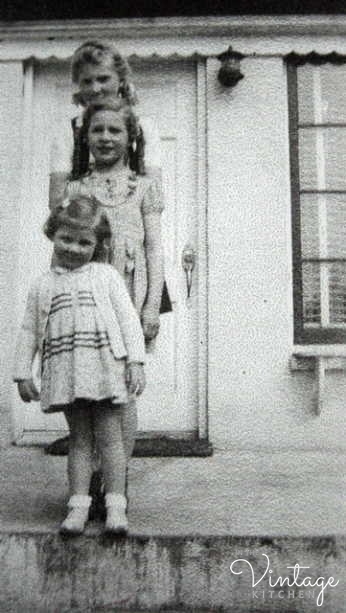 I think if Jeanette MacDonald and Aunt Patty had ever met in California, they would have been great friends. Jeanette was one of the few actresses in Hollywood who had to work hard at keeping weight on instead of worrying about taking it off. Aunt Patty could have cooked lots of great dishes for her (with lots of butter!). I’m not sure if Aunt Patty ever saw any of Jeanette’s movies, but she was a big fan of vintage and antique items just like me, so its safe to say that she probably would have would have loved Three Daring Daughters too. Afterall, she was one herself! Cheers to families who are funny and daring and happy. And to beloved Aunts whose spirits can still be felt in the kitchen. 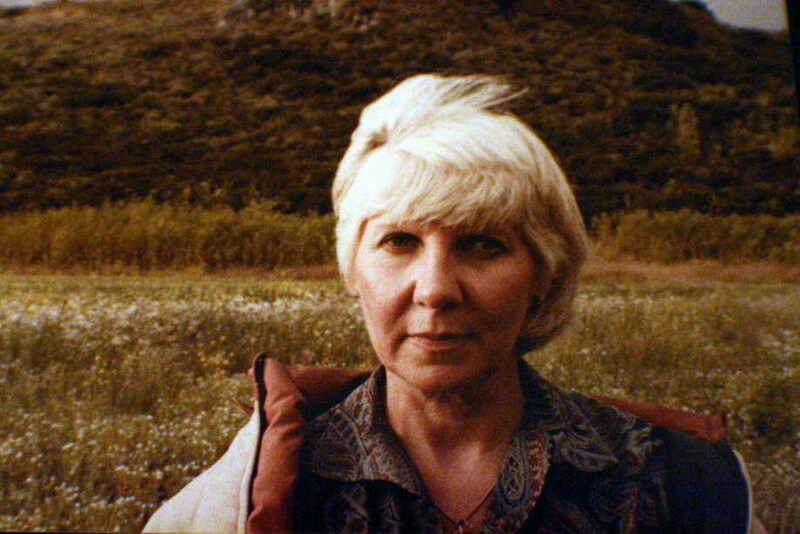 This is my favorite photograph of Aunt Patty, taken among the wildflowers of California sometime around the late 1980’s. Learn more about Jeanette MacDonald and her movies by visiting the Singing Sweethearts blogathon on the Pure Entertainment Preservation Society’s blog here. And if you find yourself in the kitchen with Aunt Patty sometime soon, send us a message and let us know how it all turned out. Oh Aunt Patty! She was a fabulous cook, seamstress and homemaker. I think of her often in the kitchen. She did it all so well and loved her family so much. Miss her!! Try the chicken it’s delicious! Yes! 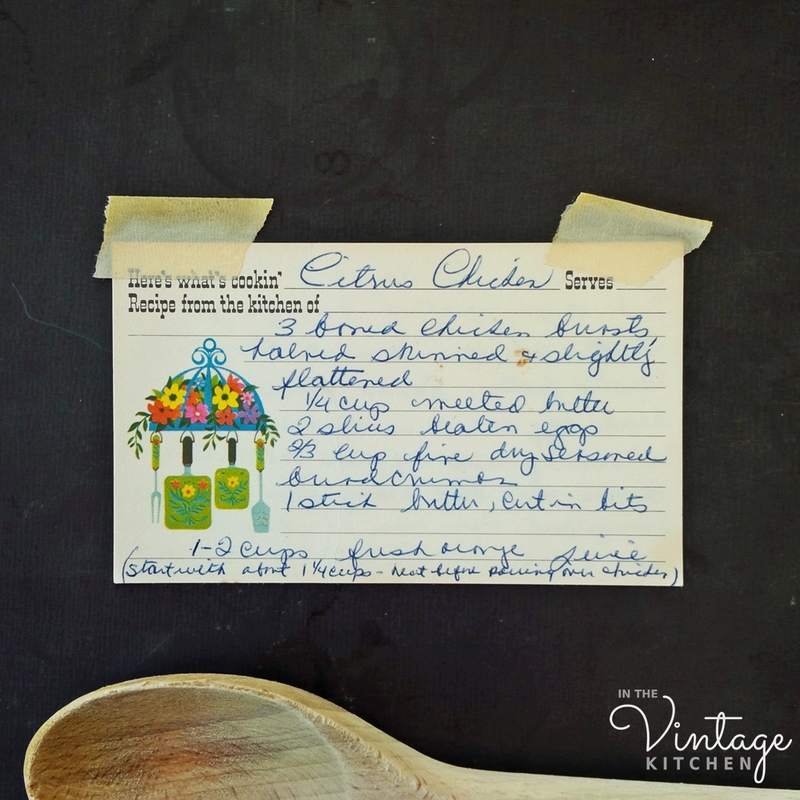 A true family treasure in spirit and recipe! Not unlike someone else I know:) Glad you love this recipe too! How sweet. Don’t skimp on the butter. Aunt Patty was right. I know it Michelle! Living where she did, Aunt Patty battled the California diet mentality, but in the end, flavor always won. I’m glad it did! And I’m glad you think so too. Again such a great post ! I don’t know if I’ll manage to watch this movie soon but definitely I ll cook Aunt’s Patty citrus chicken this week end ! Sophie! I’m so glad you are going to try the recipe! Thank you so much for your kind words and adventurous spirit! Happy cooking! Thank you for writing this wonderful article for our blogathon! You put some really interesting information about Jeanette MacDonald in here, and your aunt’s chicken recipe sounds and looks delicious! I added you to the roster. Awww… thanks so much Tiffany! So excited to read all the other blogathon posts. Heading your way next! Aw! I love this whole post! The cape on that costume is fantastic! The movie looks amazing. And I love the story of your aunties. Thank you so much for your kind words! So glad you enjoyed the post! 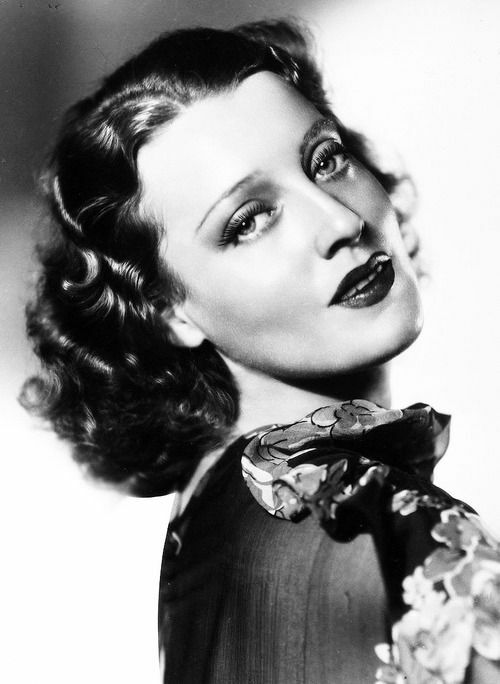 Jeanette Macdonald died at 62 also, of a heart attack. I know it Kathy! Jeanette died from a heart attack in 1965. Ironically, Aunt Patty’s sister Phyllis died a year later in 1966, from melanoma. She was only 26. I wanted to include all this info in the post, but couldn’t find quite the right spot for it. I think Jeanette and Aunt Patty wanted to keep things happy:) All these ladies were way too young. As usual, an entertaining story. But…I was somewhat shocked and disturbed to find that the Pure Entertainment Preservation Society is a group dedicated to bringing back the Production Code, a small group that, in my opinion, was dedicated to censoring movies based on the group’s personal standards. If you actually support this type of censorship and individuals that promote it, sadly I will have to stop following your blog. Artists and writers (you included), have a right to express themselves as they see fit. It’s up to the individual to decide what they do or don’t view or read. Hello Kate! Thanks so much for your message and your comments regarding censorship and the arts. Like you, I am an advocate for non-censorphip of art. I believe everyone should have the chance to express themselves when it comes to artistic endeavors as I have had my own personal experience when it comes to censoring and being censored, and I know how limiting and “non-artistic” such a situation can turn out to feel like. If you have a chance to read a previous post on that topic you’ll learn more about my thoughts on the subject. That post was my first introduction to the Pure Entertainment Preservation Society, and while I don’t support their aim of bringing back censorship in the style of Joseph Breen, whom they admire, I do admire their intentions to highlight old movies that have been forgotten due to age. I don’t want to speak for the PEPS community regarding their thoughts on the topic of censorship but I would be happy to forward along your message to them for further discussion if you like. I welcome all comments and viewpoints here on the blog and really appreciate that you popped in to express your stance on the subject. I LOVE that you pair food with the classics! Thank you so much for sharing. I don’t pay too much mind to the production companies of films unless they stick out to me in a significant way. I hadn’t really paid attention to the Preservation Society before, either, but I am interested to know what other films they try to spotlight. I noticed the comment above me about censorship. That is a horrible way to go about acknowledging the past, but I can’t say I’m all too shocked to find out that a company that prizes itself on such older films also adheres to some much older methods like that. I would like to think they wouldn’t, but if someone shows me that’s the case, all I can really do is sigh and move on. Hello Jennifer! I know what you mean. I’m so glad that this post is causing a little weigh-in on people’s thoughts and opinions regarding censorship and the arts. It is such a big topic and involves so many factors. Mainstream moviemaking in the 1930’s-50’s really carries the universal assumption (according to our modern mindset) of being a simpler and more wholesome style of cinematic storytelling. But what I didn’t know until I did the Casablanca post, was that this era of film-making was highly enforced by the morality code and that film companies had to adhere to it if they wanted their movies to be released. Big movies like Casablanca and Gone With The Wind could have been different films altogether had the Production Code Administration not stepped in to alter scripts and acting. I always thought they were products of their time but really they were products of the Code. Conforming to this Production Code Administration, which was enforced by Joseph Breen, was frustrating for most filmmakers during that time, which suggests that they didn’t like or want to be censored anymore then we would today, but they did comply in order to get their movies made. By the late 1960’s though, enough film companies had banded together to object the Code, reflecting that the American value system was becoming less restrictive. The Code was then abandoned and the movie rating system that we still have today (PG, PG 13, R, etc) took over. I know the Society admires Joseph Breen, but I do not know their specific thoughts on censorship, so I’ll be in touch with them and do a follow-up post. That way we can all learn together! I’ll be in touch soon with an update! 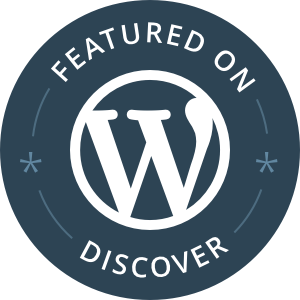 And, by the way, love the name of your blog. So cute! Aw thank you! 💚 Can’t wait to see the follow up. Hello Musette! How exciting to meet a fellow vintage lover. Thank you so much for your kind words about the post! So glad you enjoyed it! Great stuff! It really captures the picture of the past! 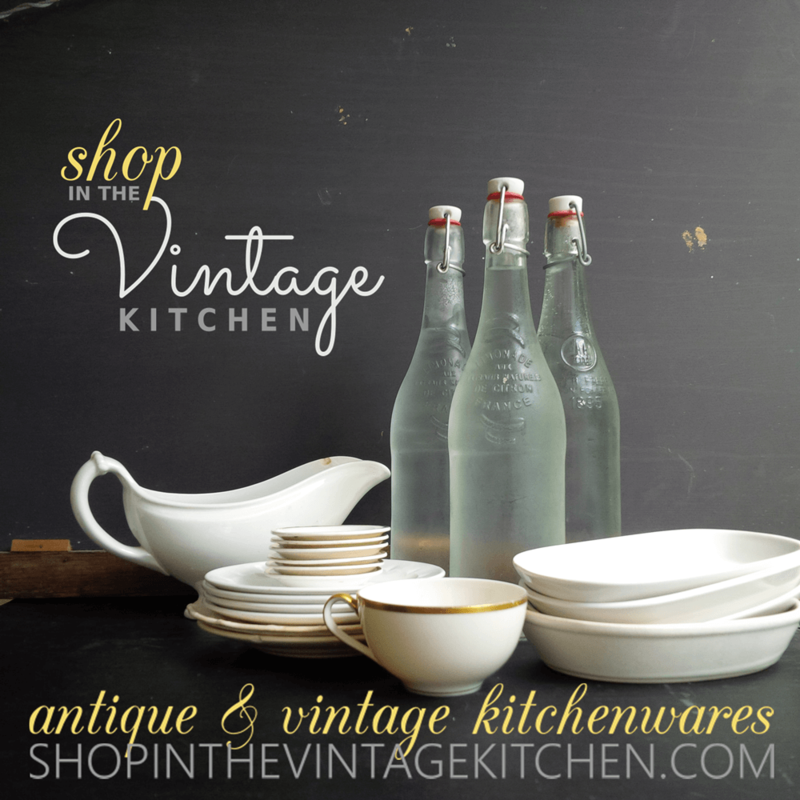 Well thought out blog Vintage Kitchen. Thank you so much for your lovely comments. Glad you enjoyed the post!